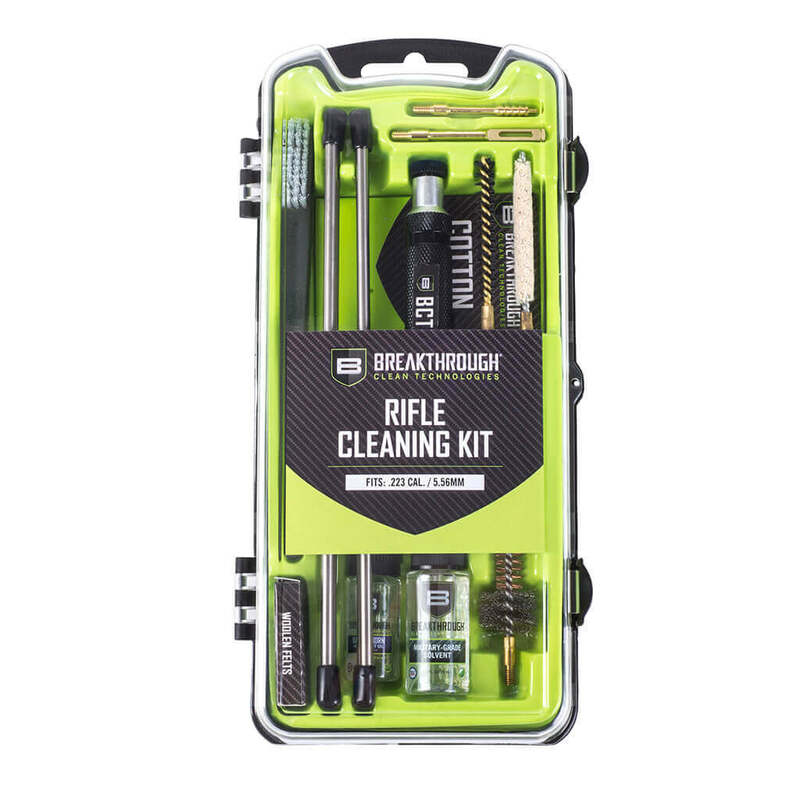 The Breakthrough® Clean QWIC-P (Quick Weapon Improved Cleaning Kit – Pistol) was designed to efficiently clean the following pistol models: 22 cal., .38 cal./9mm, .40 cal./10mm and .45 cal. 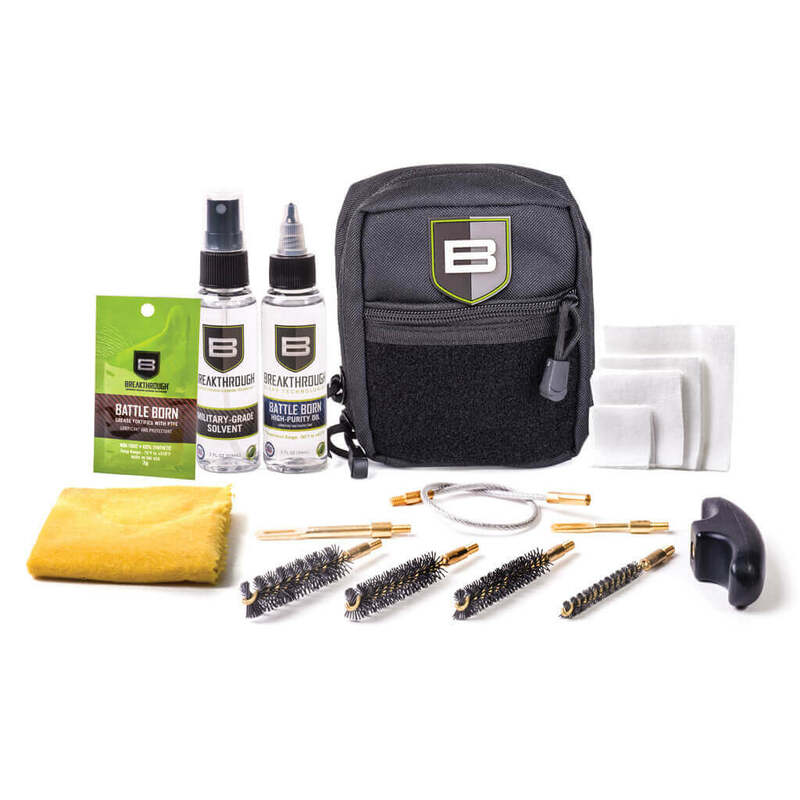 This pull through cleaning kit includes our top-of-the-line pistol cleaning tools, Military-Grade Solvent, Battle Born Grease, and our Battle Born High-Purity Oil to give you the right tools to get the best clean. 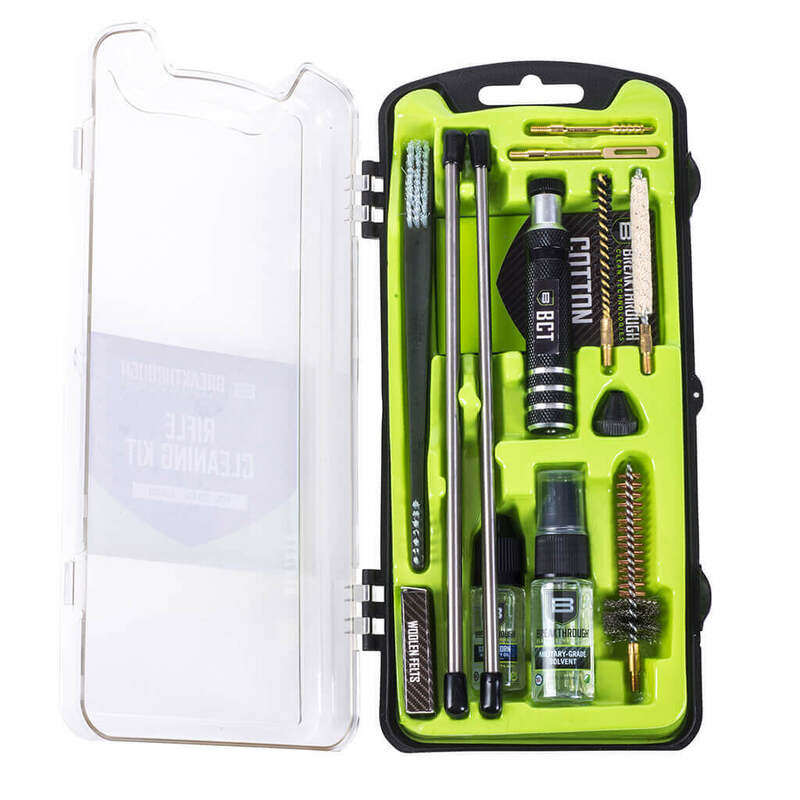 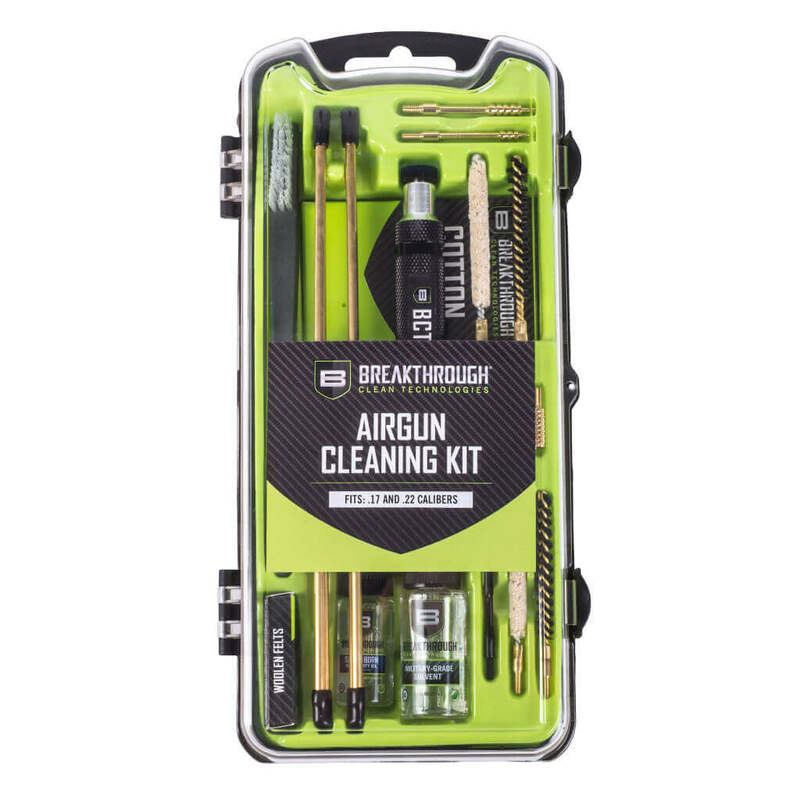 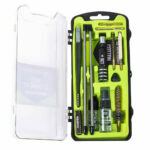 The Breakthrough® Clean custom designed, caliber specific Compact Pull Through Gun Cleaning Kit, contains everything you need for a cleaner gun in one convenient small kit, which is perfect for any range day. 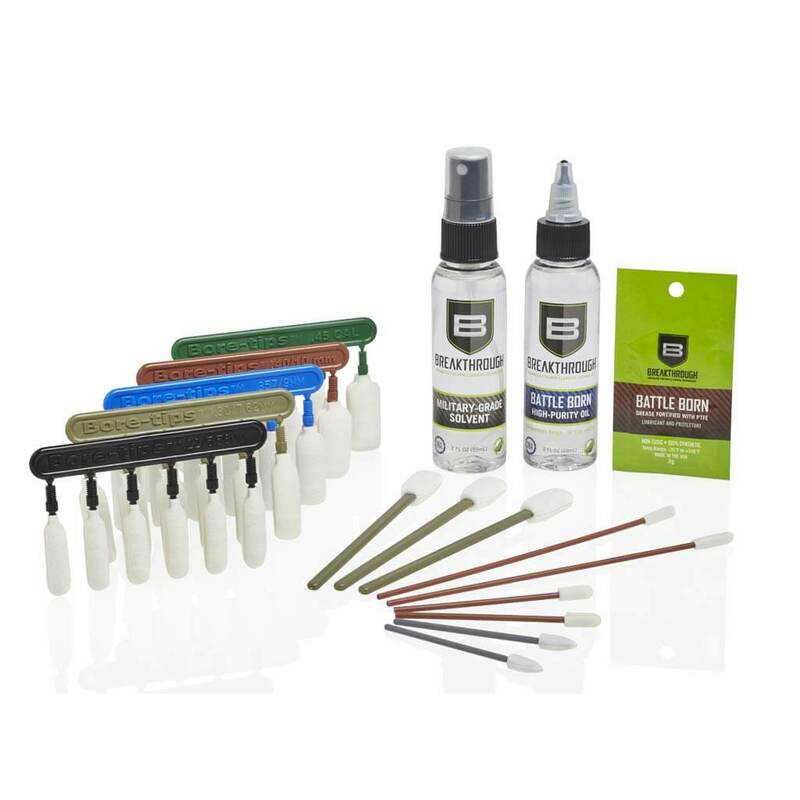 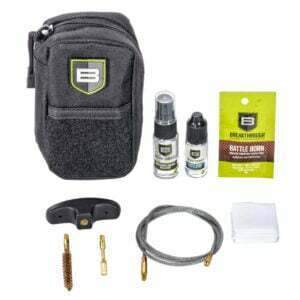 Along with our top-of-the-line gun cleaning tools, this kit also includes our Military-Grade Solvent, Battle Born Grease and our Battle Born High-Purity Oil, giving you all the gun cleaning products you need together in a convenient nylon molle pouch.